If you are looking for help with your gutter cleaning job at reasonable rates, you are in the right place. Our company takes pride in its unique pricing system, which makes all of our prices very economical and affordable to everyone. We have been around for years and have helped thousands of people from Notting Hill with their gutter cleaning jobs. Our company will send you a team of trained, savvy and hard-working and equipped gardeners who will carry out a very efficient and clean job. 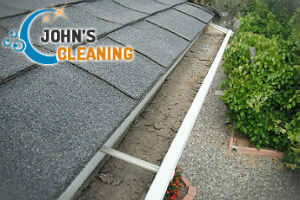 By choosing our company’s gutter cleaning service for help, you will be making yourself and your home a favour. Our gardeners will clean your gutter system comprehensively, without leaving any mess behind. All of the debris that they remove will be disposed of accordingly. How it works is: you call us and book our service, our gardeners come with their professional equipment and get to work. Any clogged downpipes or gutters will be unclogged, all debris, moss, sludge, grime, leaves and twigs, etc. will be taken out of your gutter system and will be disposed of. 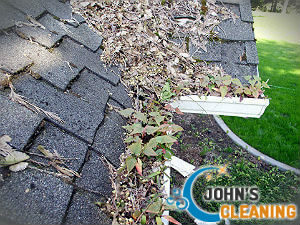 By cleaning your gutter system we will help prevent any rainwater-related damages to your house. If you did not know it – an improper working gutter system can create a large number of problems to your house – erosion, floods, rotting, etc. And all of them can be very costly to fix, get professional and reliable help from our company, if you want to have a peace of mind that you are safe from such things. Our gardeners take their job very seriously, they will clean all gutters and downpipes and will do a test to see if your gutters are ready to work. Our gardeners will carry out the job to maximum results, they will clean your roof as well, if it is possible. And we promise you they will not leave any mess or debris laying around. Everything will be cleared. Book our gutter cleaning service now – the best one in Notting Hill, W11.